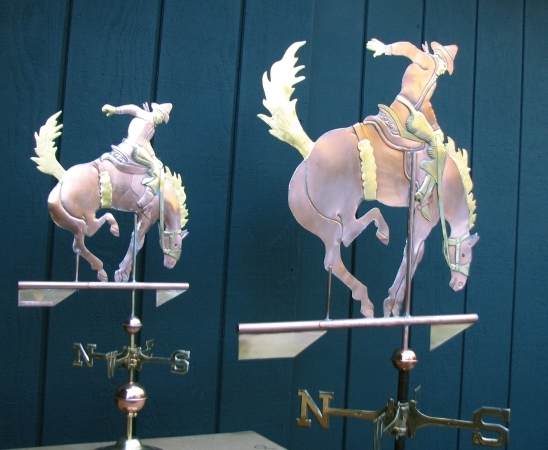 Not too long ago we received an order from a customer who was to become a favorite of ours. 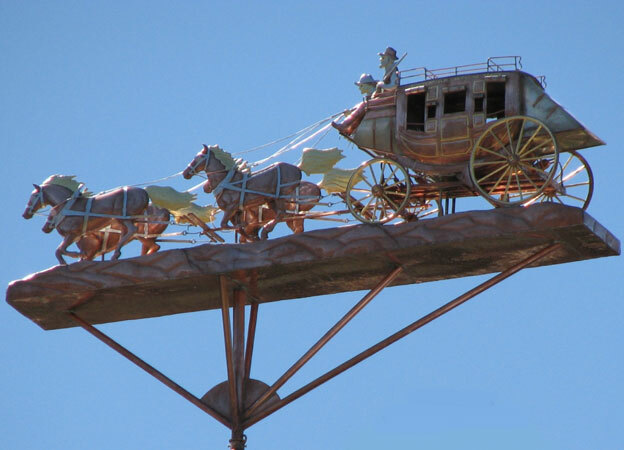 “Jim” had owned a Western Store in a nearby community for many years, and wanted to give a special gift to his daughter, for her wedding. 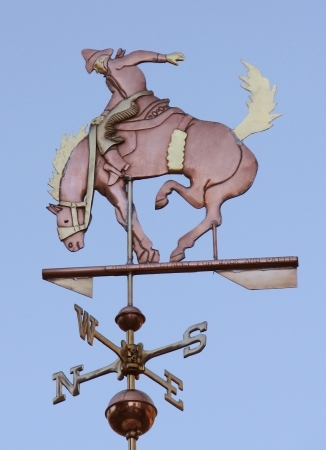 Commissioning a weathervane was a new creative experience for him and we all enjoyed working together, back and forth, getting the design just right. 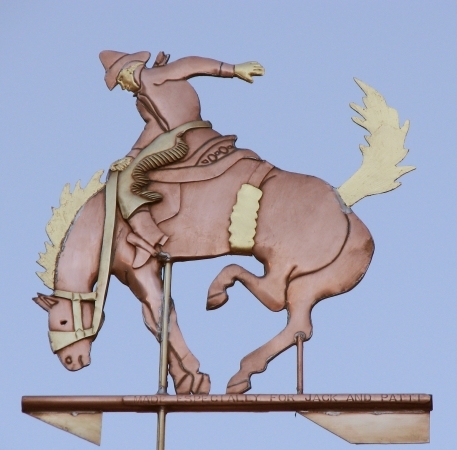 His knowledge of the intricacies of bronc riding came in very handy and helped us push the limits of what is possible in a silhouette style weathervane. 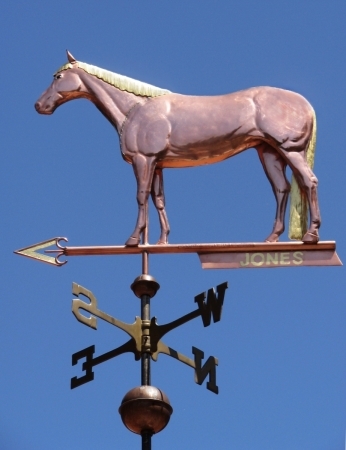 He was so pleased with the results he ordered two more to give as gifts. 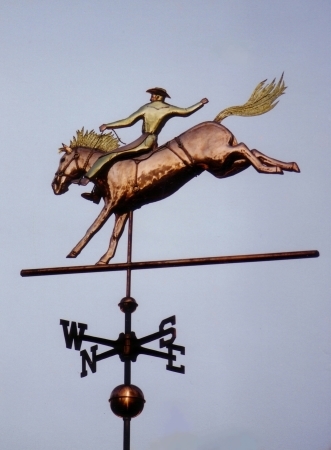 Part of the joy in creating this weather vane was the successful bridging of our two worlds. 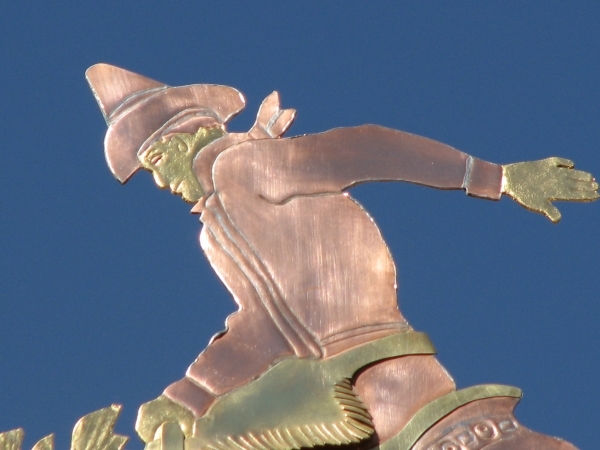 We live in the forested Santa Cruz Mountains and practice a classic craft that experienced its most recent revival in the 1960’s alternative culture movement. 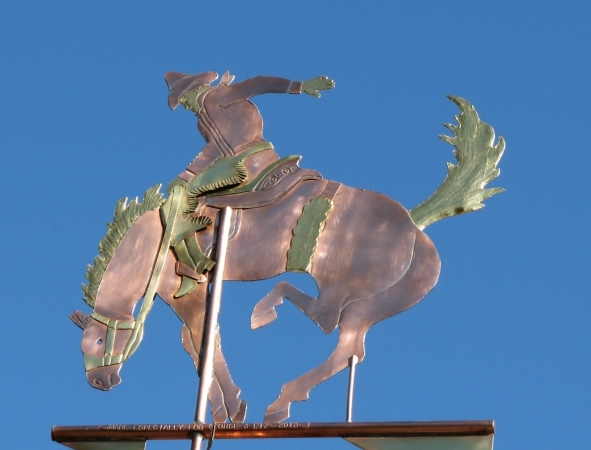 Jim, a retired businessman, came from the ranching community and served a very different clientele. 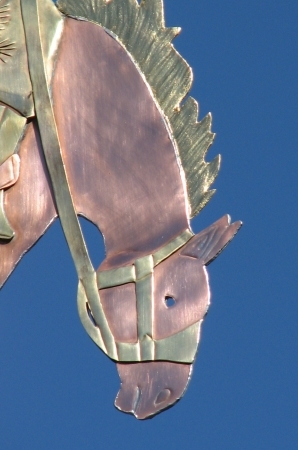 Yet, I think it is safe to say, both of us really enjoyed working together. 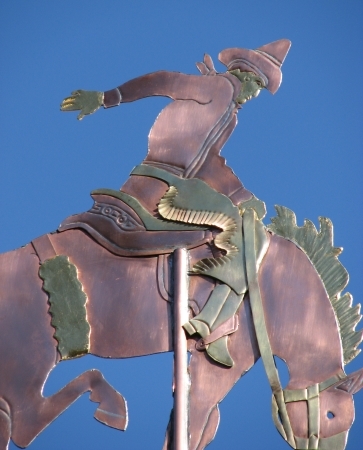 I look back at this project as one of the most enjoyable in a multi-decade career. 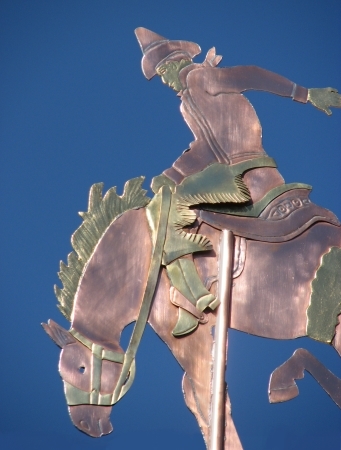 As shown here, we used copper and brass (chaps, boots, saddle) and optional gold leaf on the horse’s mane and tail and the cowboy’s face and hands. 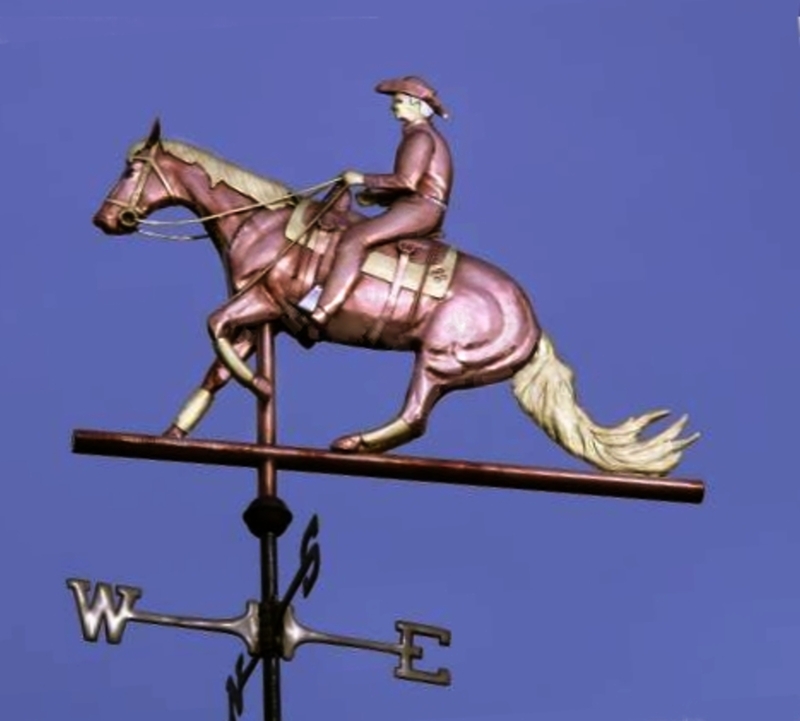 Silhouette Weathervanes are made of lightly shaped flat, layered sheets of copper and brass rather than two sides hand shaped and soldered together to give the sculpture piece dimension. 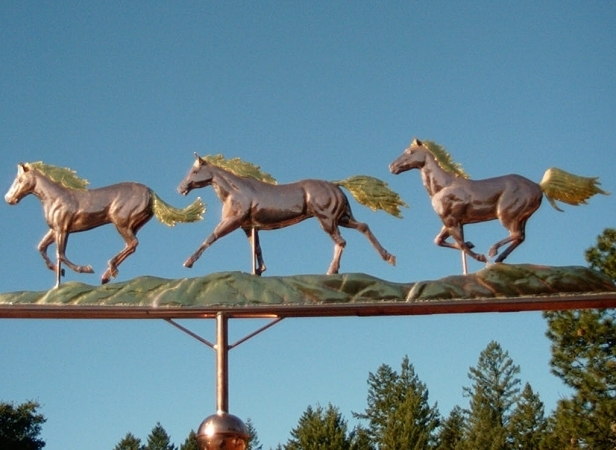 They are very aerodynamic in the wind but are typically not made larger than the medium size (approximately two-foot sculpture piece) as they do not have the same structural support found in shaped and soldered copper. 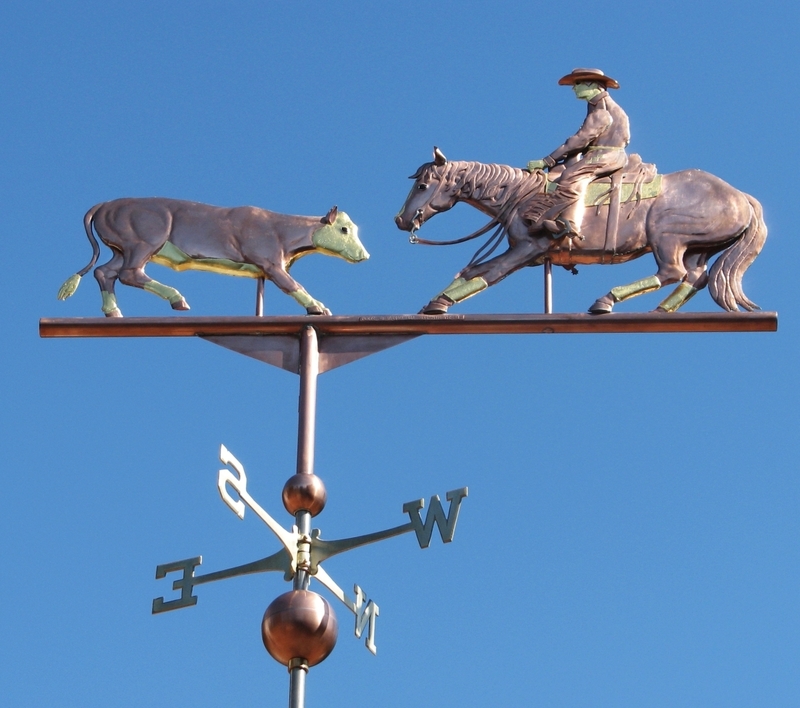 If you are looking for swell-bodied Bronc Weathervane, please check out our Cowboy Weathervane with Bucking Bronco and Cowgirl with Bucking Bronco Weathervanes. 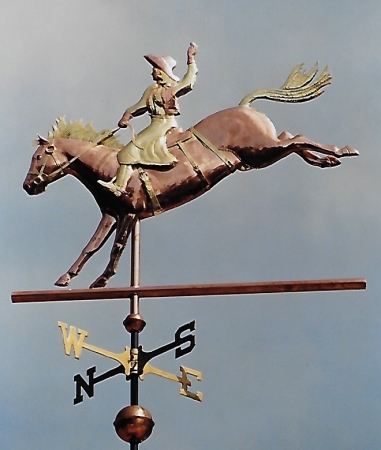 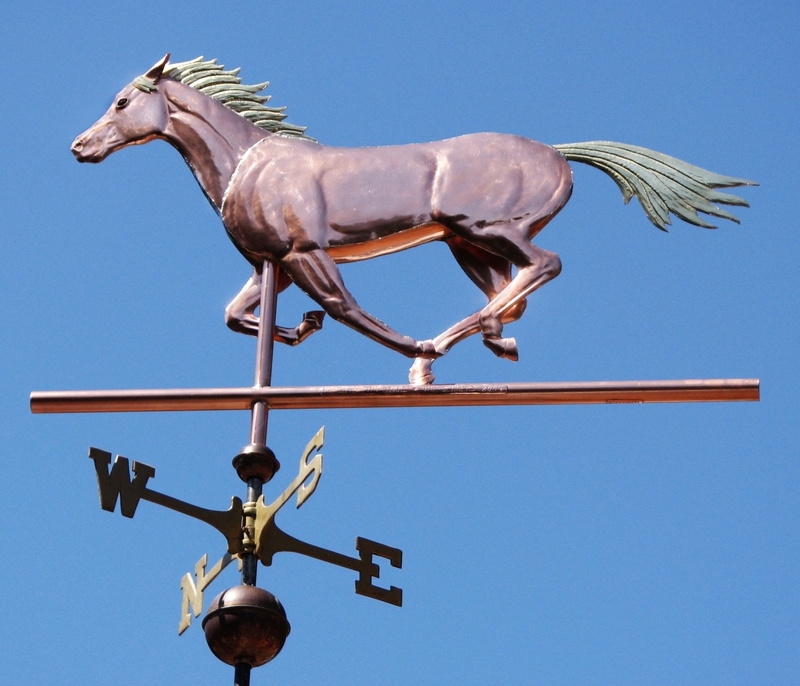 Western style weathervanes are very popular. 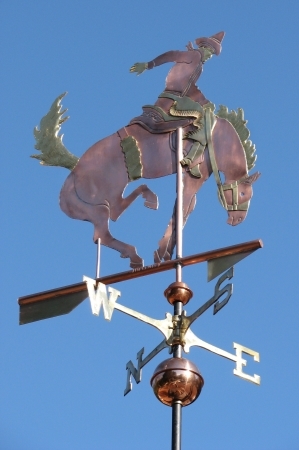 We would be happy to craft a portrait weathervane for you from the designs in our gallery, just send us some photos, and we will give you a call.